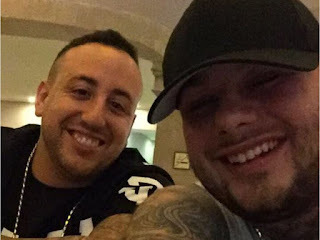 Kenny Maheu, Denis Desputeaux Denis Desputeaux, 24, was sentenced to a 28-month prison term for trafficking cocaine and meth. 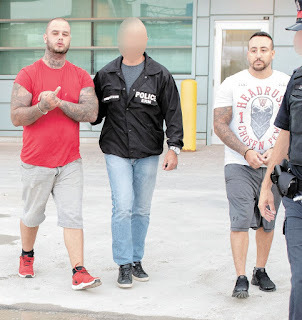 Desputeaux was in Dominican Republic on April 24 when police spread out across Quebec to make arrests in Project Objection. A photo of a police officer with a bullet wound to his face was posted on Desputeaux’s Facebook page. The photo's caption was “Talk to the police in a language they understand.” The posting was interpreted as a threat. The DNA sample is placed in a national database to determine if the person is linked to other unsolved crimes. Kenny Maheu, 28, was sentenced to a prison term of 33 months. His involvement began as soon as he finished serving a 27-month prison term he received in March 2015 for trafficking. 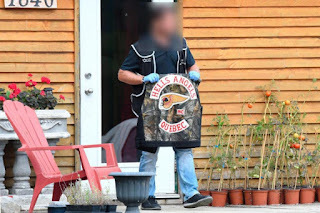 Maheu has ties to the Hells Angels and is a member of the Devils Warriors, a puppet club based in Sherbrooke.